In AnimSchool's Intermediate Modeling class, the students are asked to model a character in 3D based on a chosen design, while focusing on appeal. Here are a few models from last term's students. Special thanks to the artists that allowed their designs to be used by our modelers. 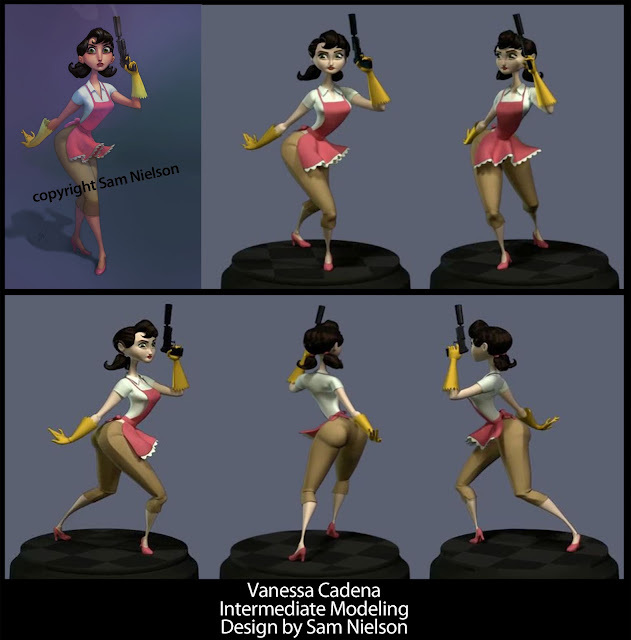 Really nice sculpts... Is the posing made directly on modeling or is it with joints? 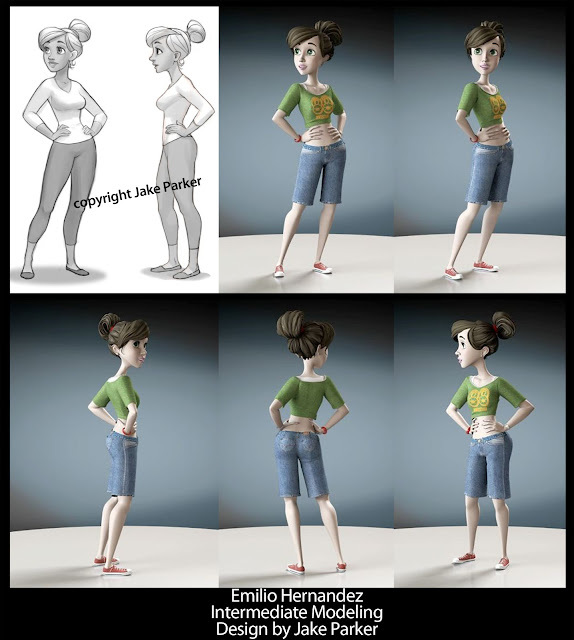 The students did a great job capturing the character design. 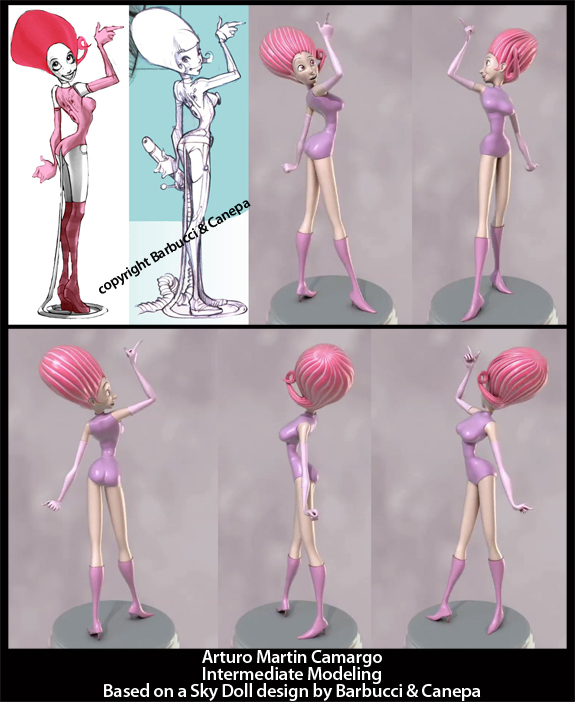 They modeled directly into the pose of the design instead of starting from a neutral then trying to pose it. The intent for the model was to take a design and visualize it in three dimensions. 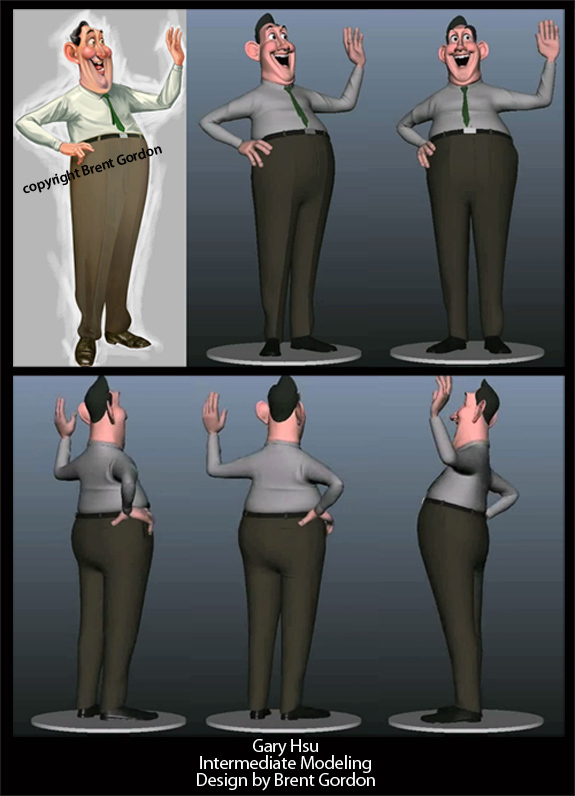 Ideally in a production situation you could then take the approved model in the pose and neutralize it.